You’ll be hearing from me…sometime…I promise! 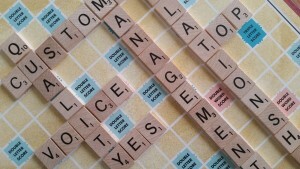 The quest for a workable Customer Relationship Management (CRM) software continues. I don’t know about you, but I am having a heck of time finding one that is simple and integrates easily with my workflow. Remember FilemakerPro? I used that for a while back in the day. Spent hours creating custom forms and fields to manage my free lance producing / writing / talent business. It was complicated and pretty much stand alone. But then I took a full-time job and the free lance gigs were sidelined for about 9 years. When I got back into the free lance side of things, the world had changed and new easier (?) and free CRM options were dangled in front of me. I tried Outlook Business Contacts for a while, but during a software update, the functionality disappeared, so I muddled along sorting email into folders and just sent out Quarterly enewsletters without much person-to-person contact. I’m using MailChimp to do the newsletters now and it is simple to use with great results, but it isn’t a CRM program. I’m still using Outlook (now Office 365) for my email, but am looking for a way to easily track with whom I have I talked/emailed, when it happened and what we talked about – you know – CRM. Ideally, it would integrate with my invoicing software too. I’ve been using Freshbooks to send invoices for several years now. But the bottom line is that it needs to be simple and clean. I’m willing to pay when needed to get functionality and tech support, but as an independent business person with a relatively small qualified customer and prospect list, sometimes, I often fall under the threshold for the paid options. One free CRM program that gets some good reviews is ZoHo. So I tried it. Despite the fact that it is free, it is far too complicated for my needs. I recently tried Nimble and again was overwhelmed by the magnitude of features. It integrates with practically everything and feels like LinkedIn and gMail had a very big baby. After about a solid day (yeah, a day isn’t a long time) of poking around and importing some clients, I had a panic attack and looked for another option. The first thing I found was something called InSteam.io – which I quickly determined was not going to work after I tried to import my data and it didn’t have any field mapping. It didn’t even have a field for Country. Very odd. A little digging discovered that they are out of Poland. Going back to Google, I used the key words “simple CRM” and clicked on a list of a few that looked promising. This list is actually for simple and free CRM programs – but as I mentioned before – free was not the main criteria. Another list in these search results – “Best CRM software for…” sorted their results Small Business, Very Small Business and Free. Insightly was on both of these lists – and was the suggested CRM for Very Small Businesses – which is where I would classify my business. So, I am in the trial period for Insightly and crossing my fingers that it helps me do the critical follow up that seems to get buried in the day to day business of running a business and keeping in touch with you!